The Magnum Industrial MI-16250 Belt Sander/Grinder Combo unites two tools in one handy benchtop package. Its combination design features a sanding belt and grinding wheel, so you can enjoy the flexibility of working with both wood and metal. It also provides an easy and convenient way to sharpen a variety of tools in your garage and workshop. Grind, Sand, Deburr, Shape and More! The MI-16250 comes equipped with a 2″ x 48″ sanding belt that pivots from 0 to 60 degrees, and locks in at any angle in between. The sanding belt has a quick-release tracking and tensioning system, so changing and adjusting belts is a cinch. 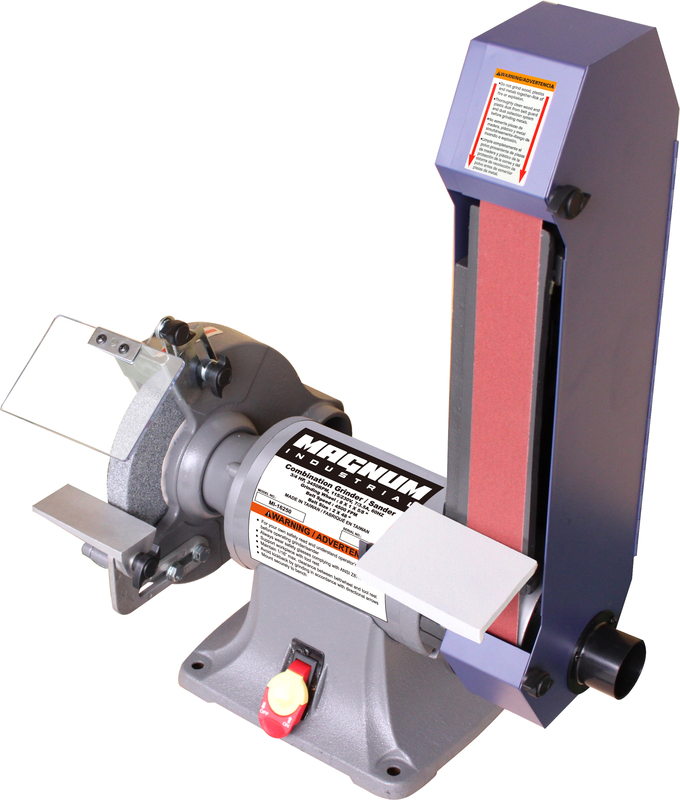 This belt sander/grinder combo also includes an 8″ grinding wheel. It spins at 3,450 rpm, so you can finish metal, smoothen and deburr rough edges, sharpen tools or take on an array of metal grinding and shaping applications. 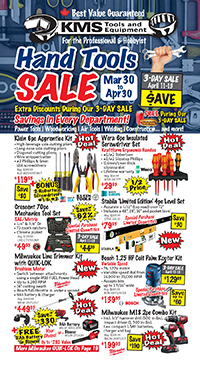 Visit kmstools.com or stop by your local KMS Tools store and check out the Magnum Industrial MI-16250 Benchtop Belt Sander/Grinder Combo. Right now you can take advantage of outstanding prices on this versatile, reliable tool. Upgrade your workshop today! This entry was posted in Archives, Metalworking, New Tools, Woodworking and tagged magnum industrial, main_page, metalworking, Woodworking by Your Friends in the Tool Business. Bookmark the permalink. ← Previous Previous post: Show & Shine 2019 Car Calendars Now Available!